With the Fall season is upon us, people are gearing up for some of the the year’s most food-oriented holidays, like Halloween and Thanksgiving. While it is a great time of year to indulge in tasty food and treats, it also important to stay healthy. Everything in moderation! Pumpkins are, perhaps, the symbolic food of the autumnal season and are, in fact, a great healthy option to incorporate into your everyday diet. The seeds inside a pumpkin are chock-full of fiber, which not only helps with your digestive system but also keeps you fuller for longer. Pumpkins are an excellent source of vitamin c, aiding in boosting your immunity and keeping you from getting sick. Bananas aren’t the only source of potassium. In fact, 1 cup of pumpkin has about 394 mg! So remember to have some pumpkin this Fall season to keep your heart healthy! If there is anything pumpkins are full of, it’s vitamin A! This healthy benefit is what helps you with your vision. Vitamin A not only keeps your eye health intact but also works to keep your heart, lungs, and kidneys in tip top shape too! Pumpkins have a pigment known as beta-carotene. 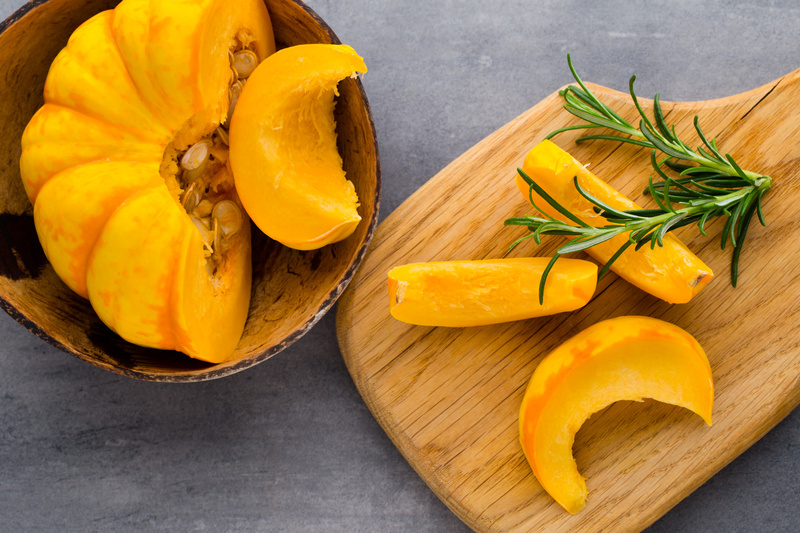 In pumpkins and other vegetables they’re found in, they are converted to vitamins that help with lung health and strength as well as keep up your cognitive functions. Beta-carotene is also an antioxidant, which lowers your risk for developing heart disease or cancer. What’s your favorite healthy pumpkin recipe? Let us know in the comments below!